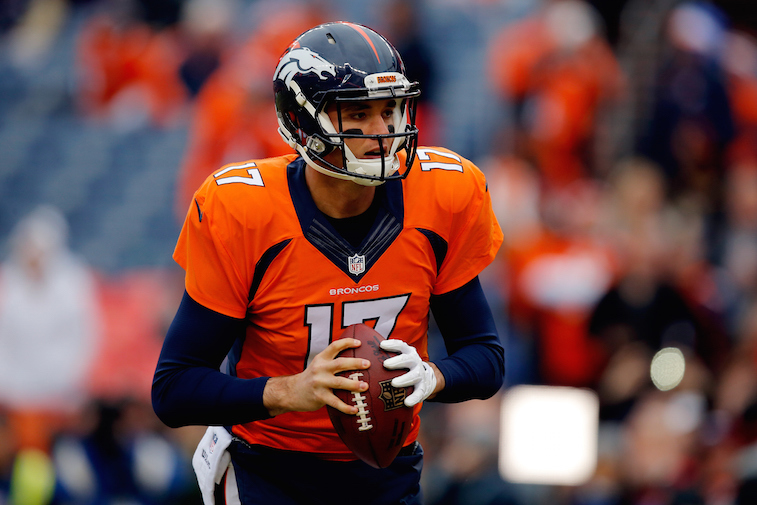 NFL: How Should the Denver Broncos Handle Quarterback Brock Osweiler? Peyton Manning is the Denver Broncos quarterback and likely will be until he decides to hang up his cleats and retire. All he has done in the three seasons he has played in Denver is throw for almost 15,000 yards and 131 touchdown passes, lead the Broncos to a 38-10 regular season record and three-straight AFC West titles, and most importantly, he guided them to the AFC championship in 2013. Knowing this, the Broncos should have very few questions regarding the quarterback position – even if Manning is 39-years-old. Instead, they are faced with a perplexing conundrum when it comes to their backup quarterback, Brock Osweiler. Osweiler’s entire three-year NFL career has been spent backing up Manning. In fact, the two players actually joined the team during the same offseason (2012). Manning was a highly priced free agent, and Osweiler was the team’s second round pick (57th overall) in the 2012 NFL Draft. While playing behind Manning has surely been an incredible opportunity for Osweiler to learn from one of the best players to ever play the game, history has shown that Manning’s backups typically don’t get many practice reps and receive very limited, if any, meaningful playing time once the preseason comes to an end. As a result, Osweiler has yet to start in an NFL game, and has only attempted 30 career passes – all of which came during mop-up duty in blowout wins for the Broncos. And to make things even more confusing, the Montana native is entering the final year of his rookie contract and will be an unrestricted free agent next offseason. At this point, you may be asking yourself why the Broncos invested such a high draft pick on Osweiler when he would be doing nothing more for the team on gamedays than carrying a clipboard. The easy answer to that question is that at the time they drafted Osweiler out of Arizona State, there were serious concerns about whether or not Manning would be able to come back from four major neck surgeries and play at a high level. 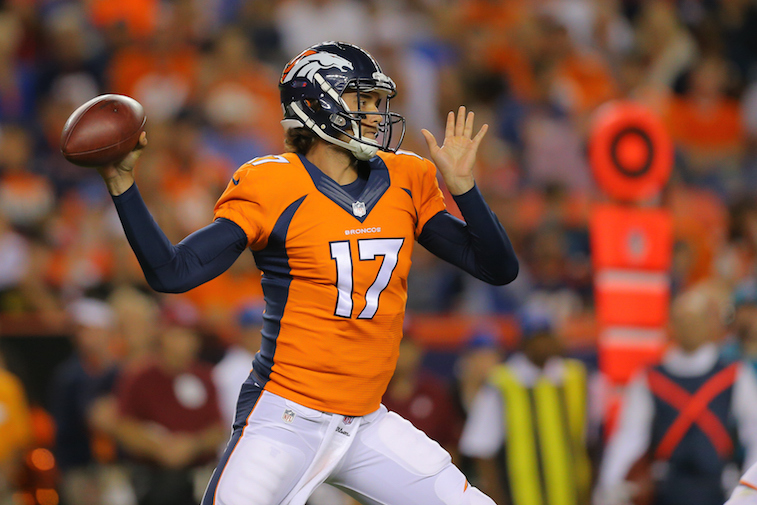 Simply put, Osweiler was General Manager John Elway’s insurance plan. Now, the Broncos are faced with having to make a difficult decision on the future of a player who they clearly think highly of, but have never seen play a meaningful snap in the NFL. Their decision would be easy if they had any idea on Manning’s intentions to either play beyond the 2015 season, or retire at season’s end. If he retires, retaining Osweiler would become a high priority. If Manning continues his playing career, the Broncos can attempt to re-sign or use the franchise tag on Osweiler to continue his run as the team’s backup, or they can let the 6-foot-7 signal caller go out and test his value on the free agency market. And let’s be honest, while he may be physically gifted, Osweiler is an unproven commodity and just isn’t worth franchise tag or starting quarterback-caliber money. We believe that the Broncos’ best option for handling the Osweiler situation would be to do everything they can during both the preseason and regular season to showcase his abilities. He is sure to see a substantial amount of preseason playing time since Manning doesn’t need many snaps to be ready for regular season action. If he plays well, a quarterback-desperate team like the Buffalo Bills or New York Jets may be willing to send a first or second round pick to the Broncos in exchange for Osweiler. If new head coach Gary Kubiak can find a way to get Osweiler some significant playing time during the regular season, the team will have a much better idea if he is worthy of a contract extension. When it’s all said and done, the Broncos best bet when it comes to handling the Osweiler situation would be to get the 24-year-old quarterback on the field as much as possible in 2015.